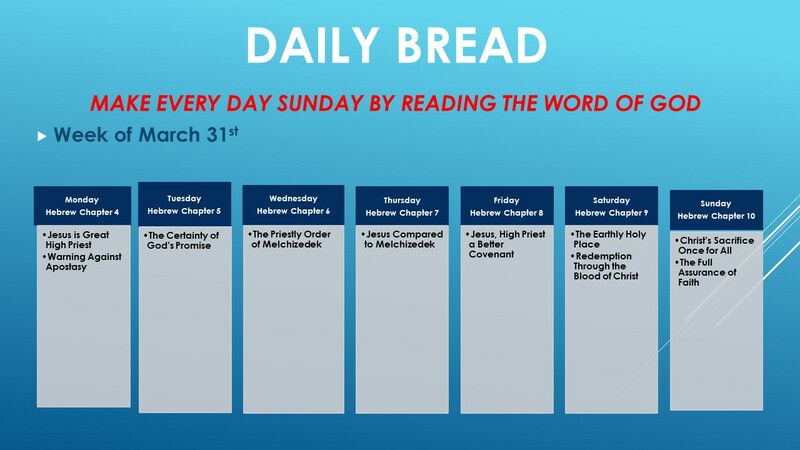 the full New Testament in one year. 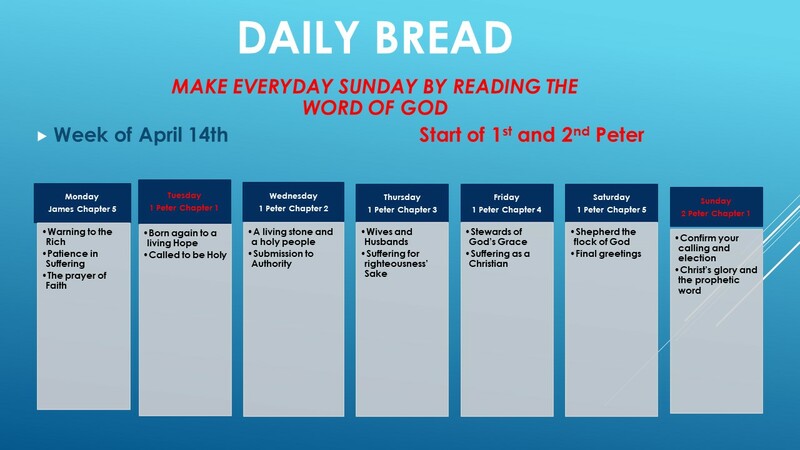 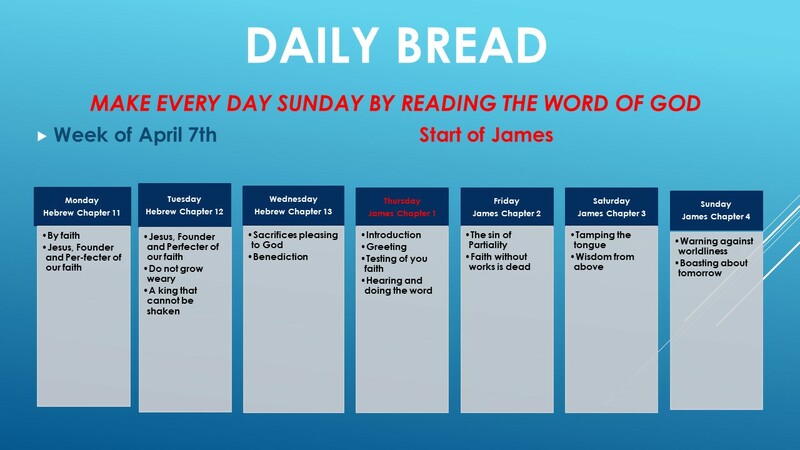 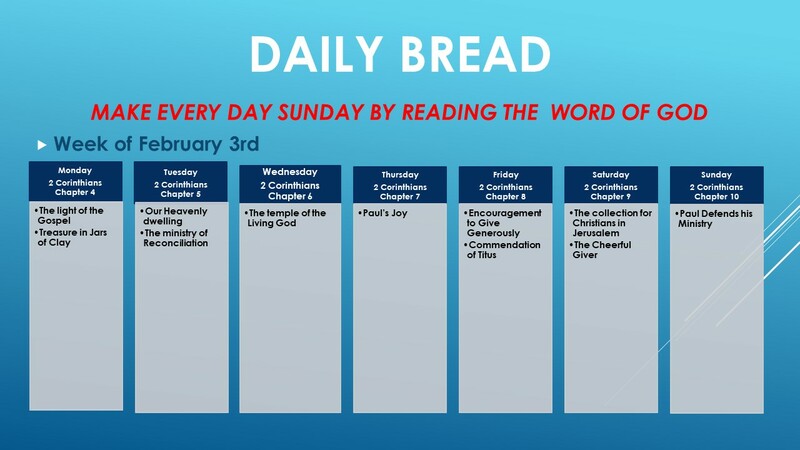 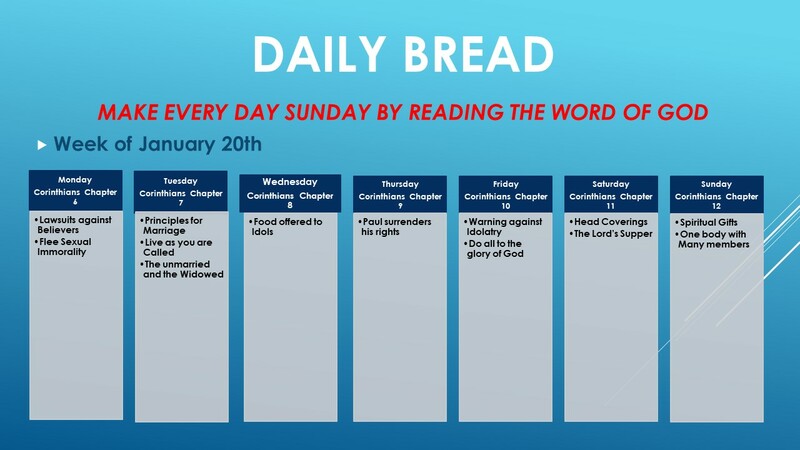 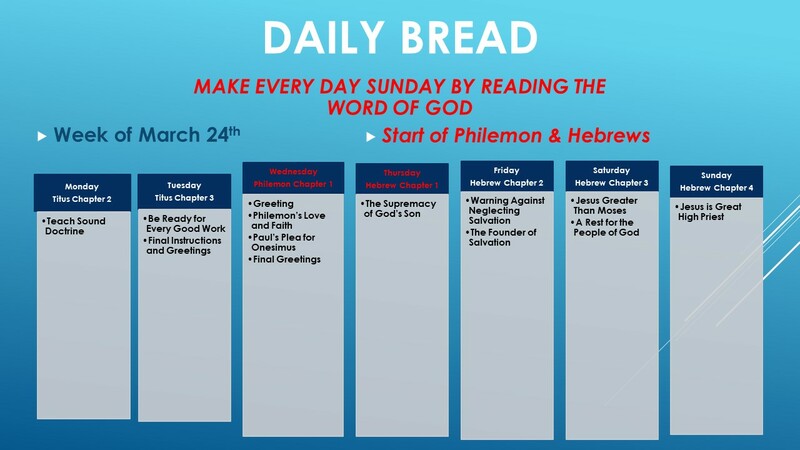 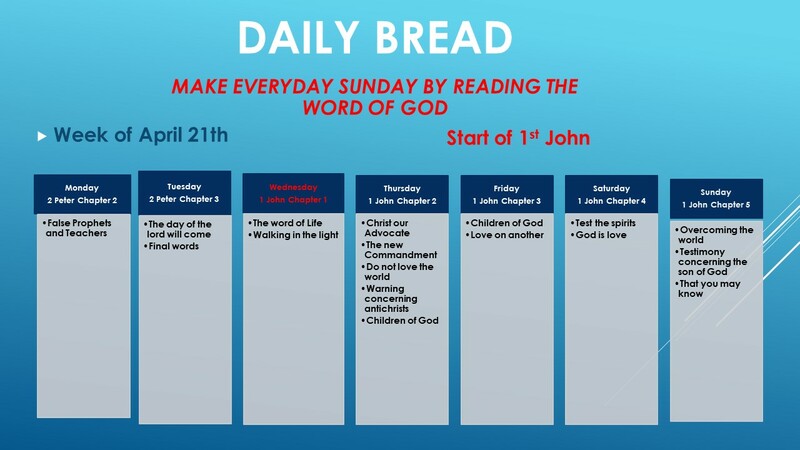 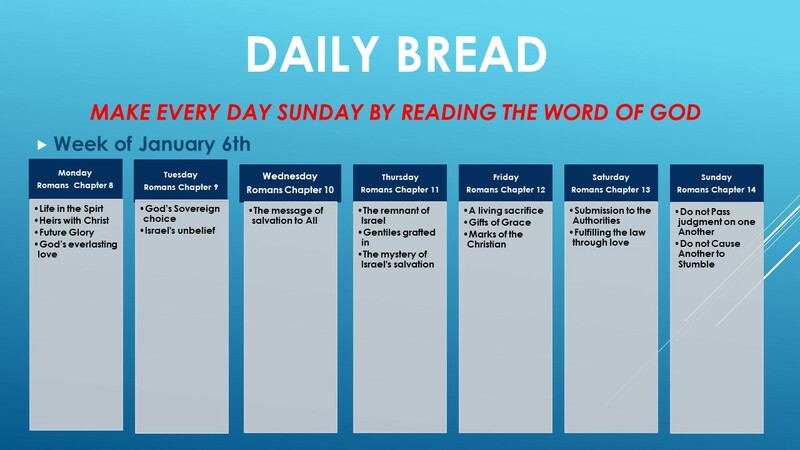 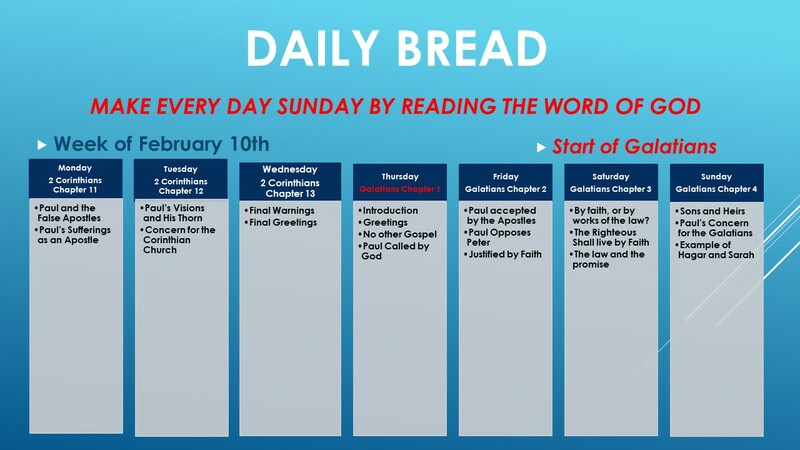 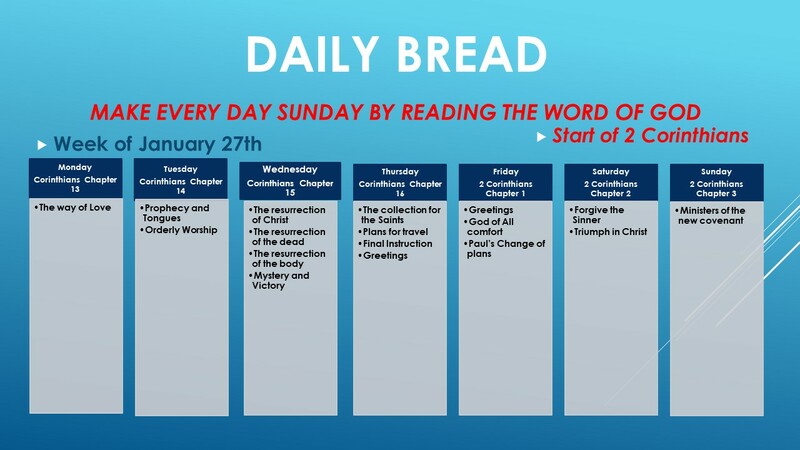 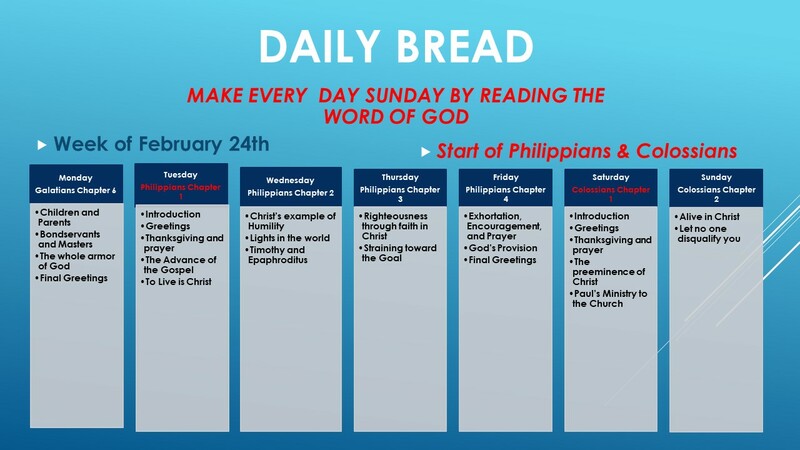 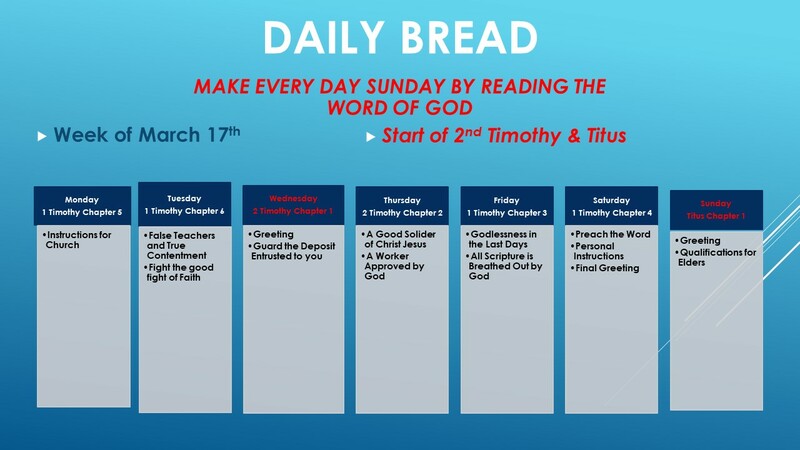 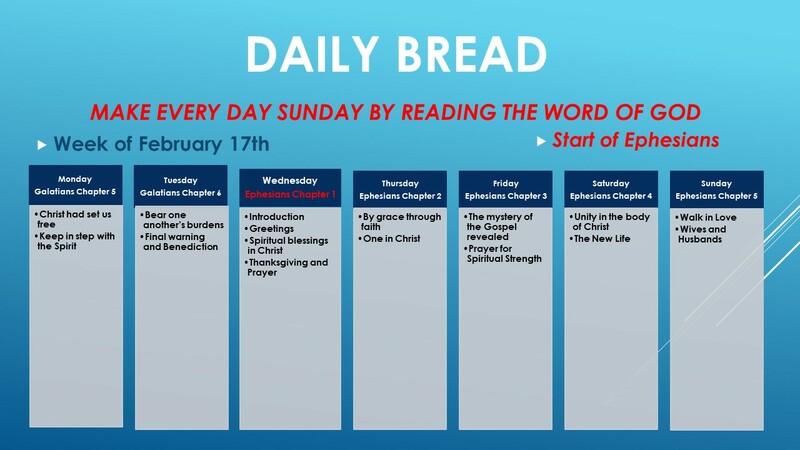 We’ve called it your “Daily Bread,” and this special Bible study series is open to everyone. 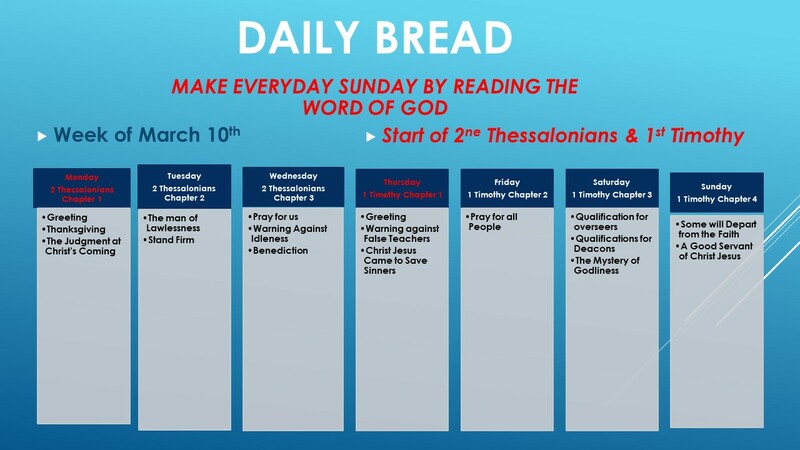 Follow our weekly schedule here. 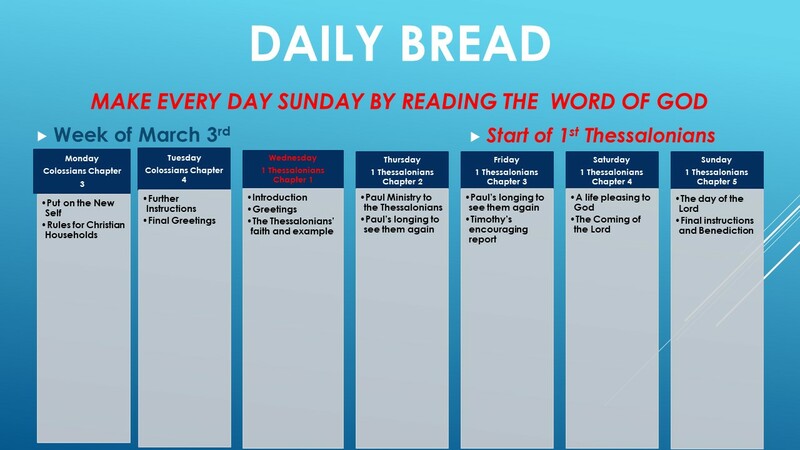 For a full listing of Bible Study assignments, visit our archives. 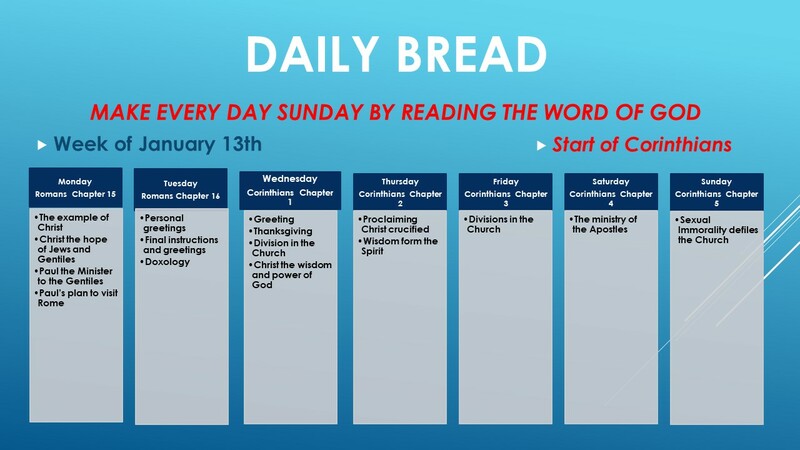 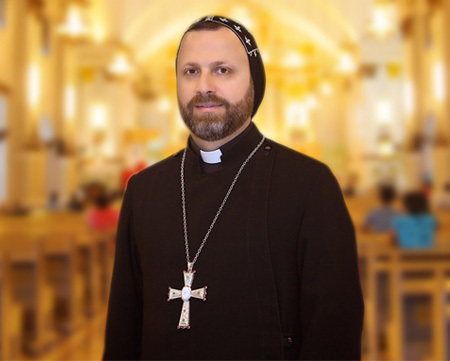 Father Andrew Bahhi is available to answer your questions online and in church about our weekly “Daily Bread” Bible Study readings. 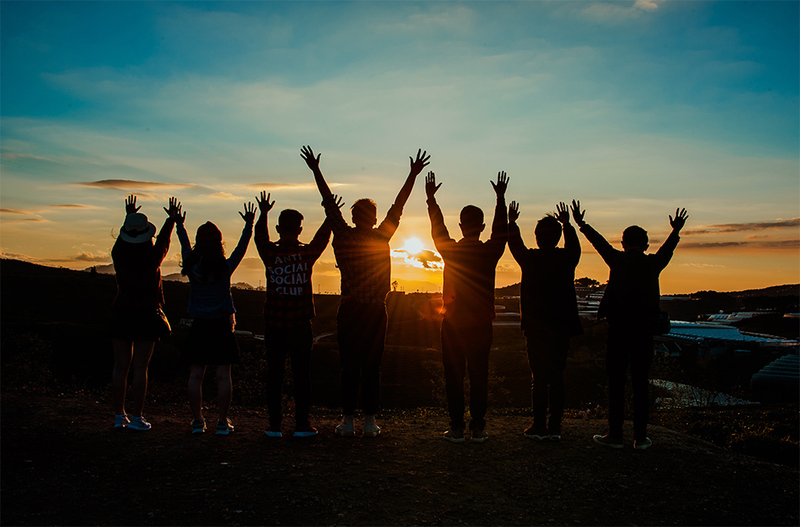 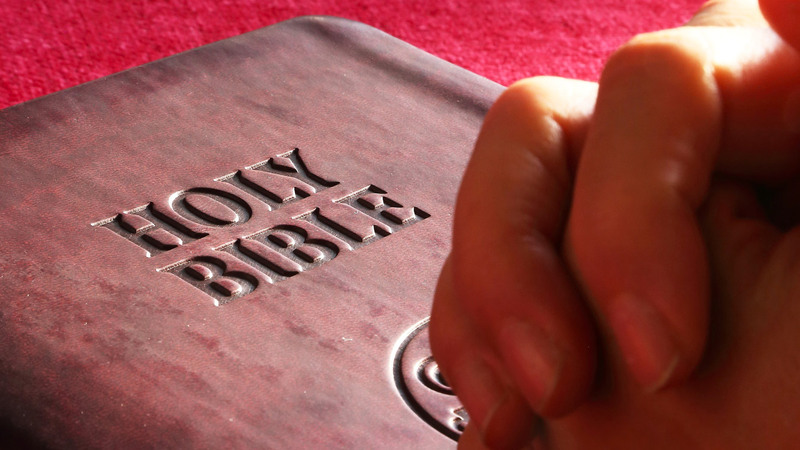 Visit this page to submit your questions about our Bible Study program.